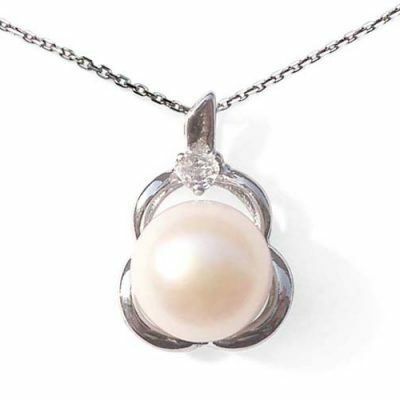 A large drop-shaped south sea shell pearl is set in stamped 925 pure sterling silver necklace. If you are looking for large pearls with excellent color, shape, luster and surface quality but would prefer not to spend astronomical amounts of money, we are confident you will be thrilled with these south sea shell pearls. 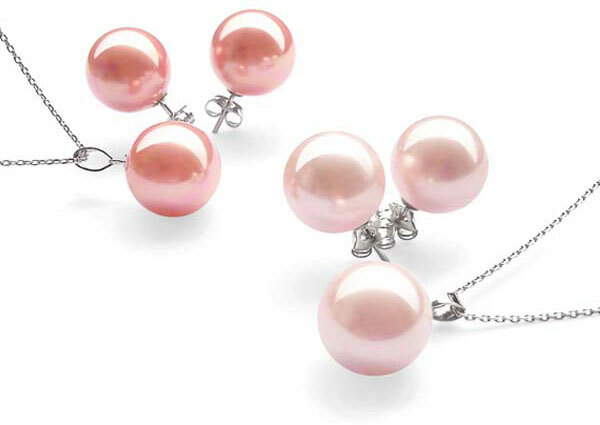 These South sea shell pearls are all 13x16mm in sizes. 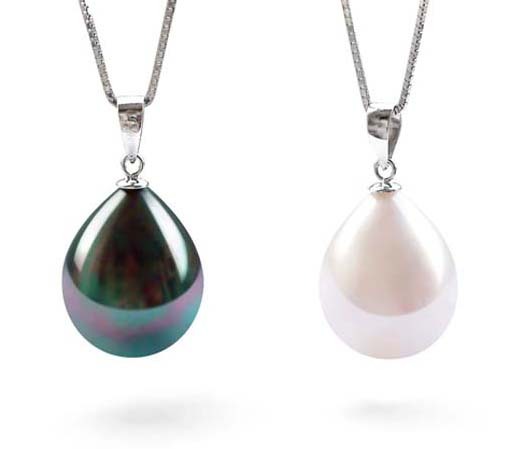 These SSS pearls are made of nacreous tissue from the same oyster that cultured Sea Pearl are made from. You must care for them in the same way that you would do to real pearls, because of their organic nature. 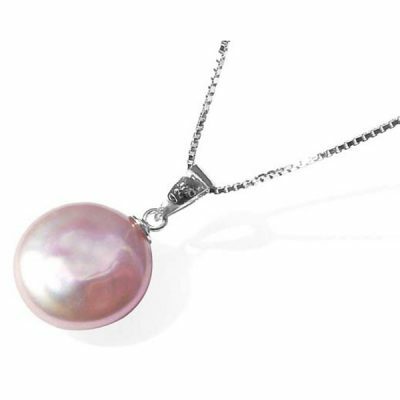 However please note these pearls are not real pearls from oysters. 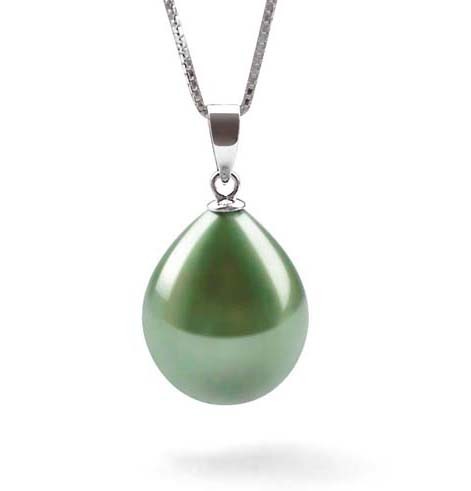 They are the best imitation pearls for south sea pearls on market. 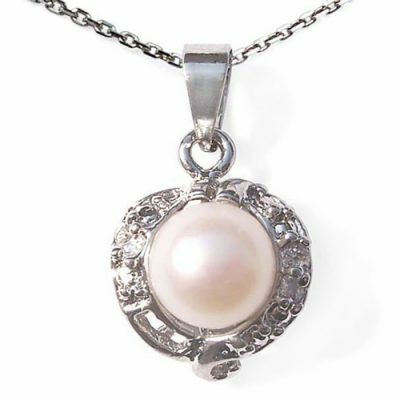 The price listed here includes a 16in long sterling silver chain that is stamped both 925 and Italy on its clasp. 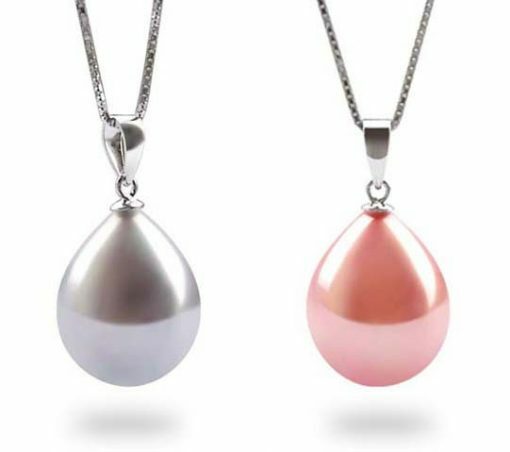 If you would prefer to have an 18in long chain, you can get it here for less than $2, or just type “ZSS1001” in the search box for “Product No”. If you would prefer to get a matching set in round shape, here it is. You can also type “ZMAZ1009” in the search box. If you would prefer to get a set of matching earrings in oval shape, here it is. Or type “ZEA001021” in the search box.